Are you or someone you know fighting cancer? 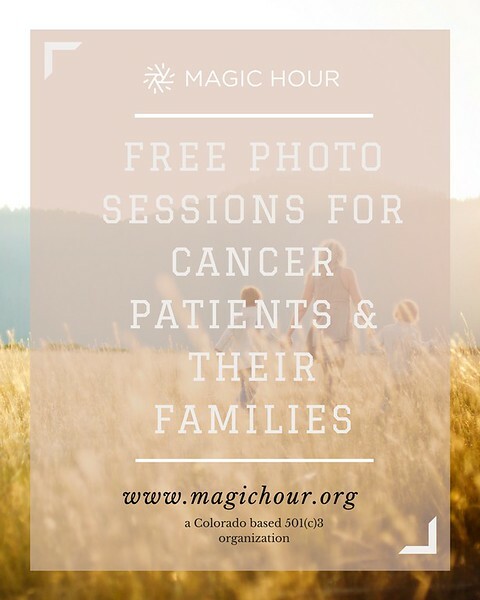 The Magic Hour Foundation pairs photographers with patients and their families to capture today and make it last a lifetime. They pair patients and families with photographers willing to donate their time and talent to freeze time when it truly matters most. 2017 was the year I became a Magic Hour Photographer, and I couldn't have been more thankful to find this organization. I have been wanting to do this for a very long time and didn't know how exactly to go about it. I am so thankful for finding Magic Hour Foundation and for everything they do. I appreciate the chance and opportunity to use my talents and to give people such a meaningful gift. Please let me know if you'd like more information or click the link below to find out how it works. You can also nominate someone you know (or yourself) for a free session.